2019 MARKS THE 29th YEAR OF BUSINESS FOR ISE ENGINEERING. In that time, we've grown from a small, one-room operation with two employees to our present location in the Attleboro Industrial Park with over 8000 square feet of office, laboratories, and temperature-controlled equipment storage space. The scope and breadth of our forensic examinations grows every day. We'd like you to meet some of our people. We don't think you'll find a nicer, more talented group of trained engineers, technicians, and support staff anywhere else. Then, take a mini Plant Tour of our facilities! John is the President and founder of ISE Engineering which began as a mechanical services engineering firm in the early 1990's providing manufacturing plant, boiler, mechanical and electrical systems repair services. John began his career as an engineer for a Washington D.C. based Naval Engineering Contractor as well as working in the Nuclear Power and Commercial Environmental Controls industries. John is an Engineering graduate of The Massachusetts Maritime Academy and served as a commissioned officer in The U.S. Naval Reserve. John is also a Registered Professional Engineer (Mechanical) and also holds licenses for pipefitting, oil burner repair, and commercial boiler operation. In addition, John is also a certified fire and explosion investigator. John has authored many articles published in Engineering Journals as well as trade magazines sharing with the public as well as tradesmen concerns and solutions to industry problems encountered during our investigations. John has also developed patents from information gathered from our investigations for fuel usage analysis and frozen pipe damage. John has taught seminars to forensic engineering and fire investigation organizations and is a Fellow Member of The National Academy of Forensic Engineers (NAFE), The International Association of Arson Investigators (IAAI), National Association of Fire and Explosion Investigators (NAFI), The National Society of Professional Engineers (NSPE) as well as The American Society of Heating Refrigeration & Air Conditioning Engineers (ASHRAE). 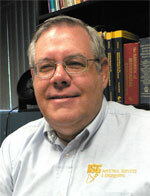 John also served on the board of the NFPA 31 Committee for Oil Burning Equipment. John has testified in numerous trials and depositions and is a Registered Professional Engineer in the states of Massachusetts, Maine, Connecticut, Vermont, New Hampshire, New York, Rhode Island, Pennsylvania, Maryland, and Virginia. Tom has been part of the ISE team since 1997 and holds a license as a Massachusetts Certified Oil Technician. He is a Certified Fire and Explosion Investigator and is a member of the MA chapter of the International Association of Arson Investigators. He is also certified as a Vehicle Fire Investigator and as a Specialist in Gas Hearth Appliances. At ISE, his areas of expertise include all types of heating systems, fire investigations, chimney systems, large and small appliances, flood losses, and freeze investigations. Tom is also a member of the National Academy of forensic engineers.